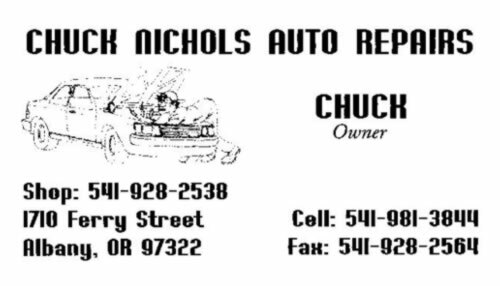 Call Chuck for all your auto needs. Offering excellent service for over 30 years. TheBest Testimonial: Chuck really knows his business. He is very thorough and knowledgeable, but takes the time to be friendly and caring too!